Normally the National Weather Service tends to downgrade the weekend wind forecast the closer it gets to Friday afternoon. 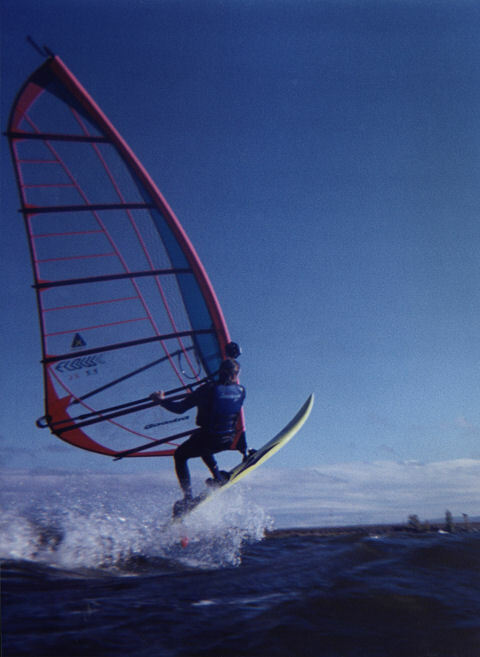 Not so in the late fall — the forecasts just keep get better & better, or for all the non-windsurfers, worse & worse! Also you would think the local NWS office would just give up on the Ultraviolet Index after mid-October. It’s nice of them to clarify which category a “1” rating is in. .TODAY…SOUTHEAST WINDS 25 TO 35 KNOTS WITH GUSTS TO 45 KNOTS POSSIBLE. WAVES 3 TO 5 FEET AND LOCALLY HIGHER. RAIN…HEAVY AT TIMES….BRIEFLY MIXED WITH SLEET OR SNOW AT THE ONSET. VISIBILITY 1 TO 3 MILES IN PRECIPITATION. .TONIGHT…SOUTHWEST WINDS 15 TO 30 KNOTS. WAVES 2 TO 3 FEET. OCCASIONAL RAIN. VISIBILITY REDUCED TO 3 TO 5 MILES AT TIMES. .SUNDAY…SOUTHWEST TO WEST WINDS 25 TO 35 KNOTS WITH HIGHER GUSTS POSSIBLE. WAVES 3 TO 4 FEET. SCATTERED RAIN SHOWERS. VISIBILITY REDUCED TO 2 TO 4 MILES AT TIMES. THE LAKE CHAMPLAIN LAKE LEVEL AT THE KING STREET FERRY DOCK IN BURLINGTON WAS 96.80 FEET…AND THE WATER TEMPERATURE WAS 49 DEGREES. THE ULTRAVIOLET INDEX FOR SATURDAY OCTOBER 28 IS A 1. THIS IS IN THE LOW CATEGORY. So .. far less wind than forecast in the morning .. followed by a quick 90-degree switch & even lighter breeze in the afternoon .. then another quick 180-degree switch. Finally the promised wind shows up, well after sunset. West Dennis beach (Cape Cod) had a much better day.. consistent 35-40 mph with a very gradual direction shift from SSE to SSW. This typifies the difference between coastal & Lake Champlain surfing conditions. Vermont keeps everyone guessing, professional forecasters included.